Much, if not most, of Richmond is saying those words. Me, too. It feels really good when the hometown team rises to the top. We are all raised up. It is especially so when that team does so against the odds. We all like to see underdogs score–David and Goliath, for example. But there is at least one larger lesson in the achievement of the Virgina Commonwealth University Rams and their coach, Shaka Smart: It is their determination, commitment, and enthusiasm which is carrying them forward. Sure, they have talented players, and obviously a great coach, but so do the other teams they have knocked off on their way up, and so does Butler whom they face on Saturday, and so does the team they may face on Tuesday. Will they make it all the way to the national championship? We do not know. The odds are long; the other teams are undoubtedly wise to them now. They can’t exactly sneak up from behind and surprise their opponents. But I do know this: If they continue to stir themselves to achieve beyond expectation, to see themselves as champions no matter whether they win or lose the next game or the one after that, they will win the larger game of life. Yesterday, I finally got outside for a little spring yard work. Oh my, so much to do! I am way behind. One job left undone from the fall is to finish raking some leaves . . . and alas, collecting what seems like 10,000 gum balls from the stately gum tree in our backyard. As I contemplated that mess, I was feeling overwhelmed (especially because I have a strained left arm that makes raking painful). 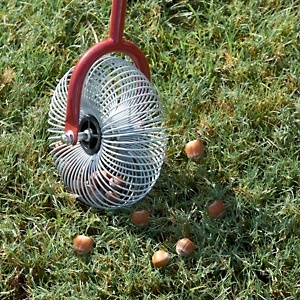 Then, I remembered that Jonathan had encouraged me to buy a “nut gatherer” late last fall at Southern States. They advertised it as a sure way to gather gum balls. I was skeptical at the time, but Jonathan convinced me to buy it. He knew how much I hated to pick them up (and he doesn’t like doing it either). I got it out of the shed, and tried it. Praise God, it works like a charm! Of course, Cocoa barks at it–anything that rolls seems to get him going–but oh the joy at not having to bend over and pick up the gum balls! I had a big limb taken off the tree last year, and was thinking how I might decide to have it removed–that is how much I dread the gum balls. It would have cost a fortune to have it removed–it is a very large tree, and very beautiful, too, providing great shade in the summer. But now, for the price (about $30) of one Garden Weasel Nut Gatherer, I am content to enjoy the tree. And Cocoa is thrilled–a new object at which to exercise his lungs. Sometimes, it is the little things that make life special. On this day in 1900, the U.S. Socialist Party was formed in Indianapolis. Two things are worth noting: first, the party was formed not in New York, Chicago, Detroit, or even Los Angeles–those hotbeds of radicalism–but in a loyal Red State, Indiana. No, not that red (as in communist), but RED, as in making Glenn Beck and many others very proud. 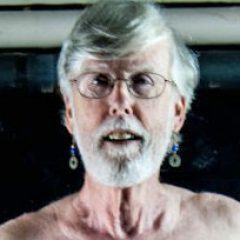 Of course, Beck might be critical of me for mentioning this anniversary–if he reads my blog–especially because I am one of those persons who think that socialism offers some good ideas. I don’t support pure socialism–for the people to own all the means of production, e.g.–but I do not think some things that socialism has advocated, and continues to support, are good–old age pensions (i.e., social security), for one. Yes, I am an American. A citizen. A proud one. Just thought I’d better clarify that, given the numbers of people who seem to equate socialism with not being American. I said TWO things are worth mentioning. The second is that the United States is nowhere near being socialist, and the Affordable Care and Patient Protection Act (it is not ObamaCare, but I am glad Obama cares) is not a socialist law. What makes that charge so laughable is that the law actually helps private insurance companies not only stay in business but also expand. That’s not socialism. 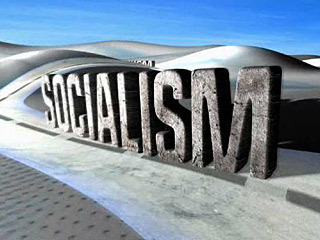 I know some folks think the U.S. Socialist Party has already won–and it has only taken 111 years. I disagree, and I suspect they will not win even in another 111 years. But they are welcome to try to win. And those who oppose them are welcome to “borrow” their better ideas. That is the American way. It is inevitable . . . I am a gay man after all. I mean that I would be writing about Elizabeth Taylor. 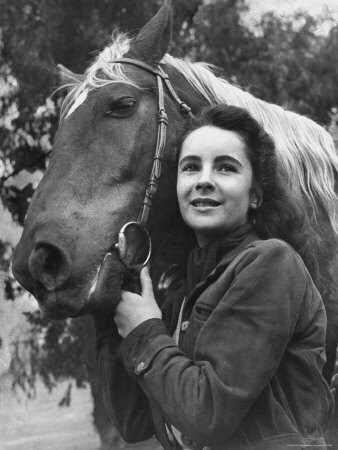 I remember watching National Velvet–no, I was not born when it first appeared (1944)–and being enchanted with this lovely young woman. But I also loved her in Lassie, Come Home (1943), but when I saw that, I was more smitten with Roddy McDowall. Actually, as much as I loved Taylor, I really loved her most for her devotion to her friends, and especially for her many gay male friends, and most of all for her selfless work to combat HIV/AIDS and her courage in combating AIDS-phobia. I did not live in Virginia when she helped our former Senator, John Warner, win his first term. But I have seen pictures of her “tour.” Had I been here, I imagine I would have been at events, too, with my mouth hanging open. She had that effect on many. Maybe most of all, her passing marks the end of an era for me. There really aren’t many left who rose to fame before World War II. Thanks, Liz, for the memories. Who Would God Have Us Be? The world seems to be coming apart at the seams. 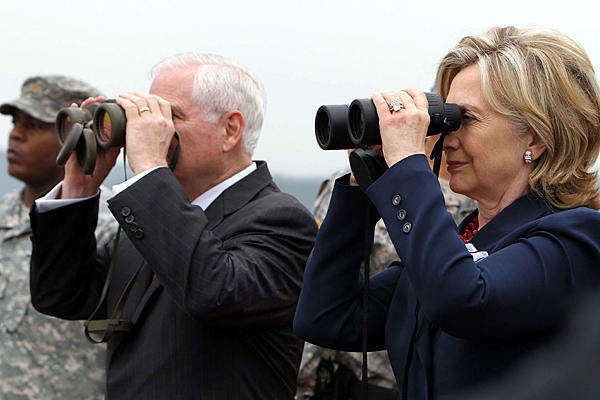 I cannot imagine what it must be like to be President Obama, Secretary of State Clinton and Secretary of Defense Gates. Change is everywhere. The old politics seems tossed out like so much refuse. 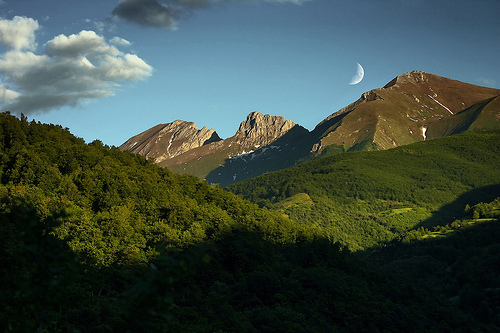 Places most of us know only as distant names have become centers of intense and important drama. For example, it was only a few months ago that it became common knowledge that the president of Yemen was working closely with our government to root out Al Quaeda cells there. 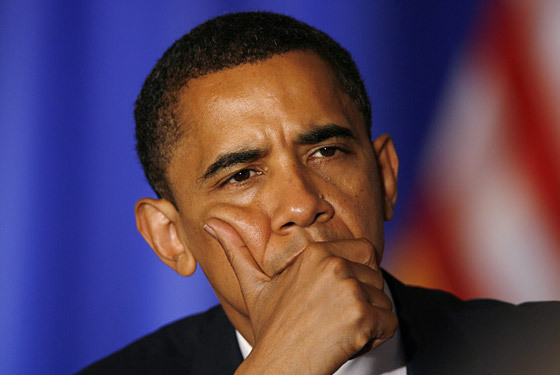 He was allowing covert U.S. military action and saying it was done by his government. He seemed like a good guy then. Now, it seems most of his country wants him removed from office, because he is a tyrant. Hello, good guy. Goodbye, bad guy. The question is for us: what guides our relations with the world? Is it as simple as the enemy of our enemy is our friend? Or do other factors–including our national commitments to peaceful change and individual liberty, e.g.–play a role in how we choose our friends? And what of economics? Can we truly afford our huge military? Can we afford to be fighting–overtly and covertly– in so many places? I have no answers, but I do know we need much more discussion. And lots of prayer. What would God have us do? Who would God have us be? This is the first anniversary of the passage of the Patient Protection and Affordable Care Act, derisively named by some as “Obamacare.” It is an attempt, not perfect of course, to fix a broken health care delivery system in the United States. The fact that it is broken is shown by findings released this week by the Virginia Department of Public Health. Overall, according to American Health Rankings, Virginia ranks as the 22nd healthiest state. Not surprisingly, the healthiest areas of Virginia appear mostly in more affluent Northern Virginia. We are regularly ranked as #1 or #2 as a place to do business–and there is much chest-thumping about that by political and business leaders. The self-congratulatory thumping about being #22 for health appears to be more muted. 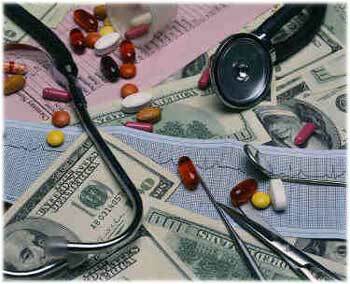 Another interesting fact, according to a story in the Richmond Times-Dispatch: the United States spends more per person on health care than many other developed nations but falls below many on health indicators, including life span. Health-care spending per person in the U.S. was $7,538 in 2008, compared with $4,627 in Switzerland, $4,079 in Canada, $3,696 in France and $3,129 in the United Kingdom. Yet average life expectancy in the United States, 77.9 years, is lower than in Canada, 81.38 years; the United Kingdom, 80.05 years; and other nations. I know it is fashionable for many to proclaim that parts of the year-old law are invasions of personal rights and/or states rights. Personally, I would be more persuaded by their arguments if they had serious proposals to fix a broken health care delivery system. I have been working so hard. Too hard, according to my husband and and our daughters and our dog, and certainly my body. I care so passionately about my work, my pastoring, and I am eager for the beloved people of MCC Richmond to live out the vision I see for us. So I get all wrapped up in learning and preaching and meeting and cajoling and teaching and praying to help create change. But I don’t want to forget that the vision I see may not be the vision others see. Or perhaps, most importantly, it is not the vision of God for us. It is ultimately only God’s vision that really matters. So, I get on my knees again today to ask God the Creator, the source of all life, and Jesus the Christ, the captain of the team I choose to play on, and the Holy Spirit, the provider of the power: show me, guide me, push me, pull me, melt me, mold me, fill me, use me . . . .fall fresh on me.